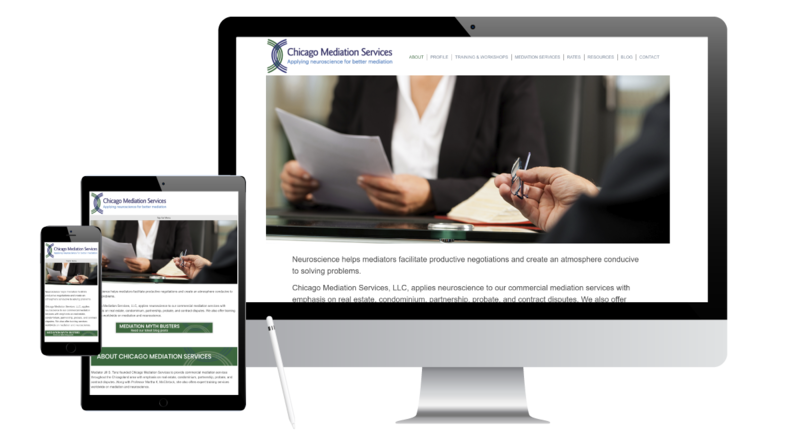 Chicago Mediation Services - What A Great Website! Sometimes a client knows just what she wants. Jill Tanz was one of those clients. Her goal was a clean, simple website that clearly positioned her services and her expertise as a mediator who incorporates neuroscience into her work. The website design was driven by a new logo created to rebrand the business. It’s used as a graphic element in the site design which is modern, professional and minimalist. The WordPress site allows Jill to effortlessly maintain a consistent blogging presence.